Redesigned for 2019. Attend Jefferson's 5-day intensive program and gain crucial skills and knowledge about population health. Don't miss out on this opportunity! The newly redesigned Academy offers a more intensive and robust 5-day experience that includes opportunities to explore practical applications of concepts. The Academy begins with 3-day comprehensive overview of concepts, terminology and cases. 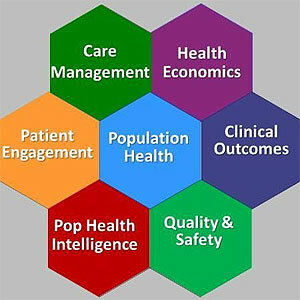 The remainder of the week is a hands-on workshop, focused on "Population Health Management and Strategy." Online access to coursework and materials, available to you during and after the program.